 NIGHT WATCH SECURITY SERVICES LTD is committed to providing the necessary training to ensure our workforce meets the statutory requirements of the Private Security Industry Act 2001. We are also committed to providing the necessary personal development to improve the skills and competence of our workforce in the focused delivery of services to our clients. The aim of training is to ensure that all employees are given the necessary help to develop the knowledge, skills and attitude they require to carry out their jobs legally and efficiently and to provide every opportunity for career development. operation Manager function will ensure that every member of staff has undertaken and passed the required statutory training before their SIA license application is submitted, if not already in possession of an SIA license at the time of engagement. The MD is responsible for the continual monitoring of staff training and development throughout the year and to provide the necessary assistance and encouragement to ensure that the company objectives are being met, procedures are being followed and staff’s needs are being achieved. An internal review of NIGHT WATCH SECURITY SERVICES LTD’s training policy and procedures will be carried out every 12 months. This is the training required to met the statutory requirement of the Private Security Industry Act 2001. Having completed this training an employee will have met the legal standard required for them to become an SIA licensed security officer. This is the training which further improves the skills and knowledge of the employee and which, amongst other things, will prepare the employee for promotion. This includes personal development training as required under BS7499. A record of training will be established for each individual employee and held centrally on the personnel file. This will be continual updated throughout the lifecycle of their employment to provide an auditable trail of their training and development. Where the requirements of a contract demand it, a record in the form of a Training Matrix, specific to the contract, may also be kept. At the time of recruitment – any immediate training needs identified by the Contract Manager will be addressed prior to commencing work. At appraisal stage – it is NIGHT WATCH SECURITY SERVICES LTD ’s policy to undertake an annual staff formal / informal appraisal to review performance over the previous twelve months, to identify ways of maximising strengths and improving areas of development in the context of achieving NIGHT WATCH SECURITY SERVICES LTD ’s aims and objectives. These formal / informal reviews are the main vehicle of reviewing and identifying continuation training needs to improve job performance. At the time of an employee being promoted – covering skills required to equip new managers with the necessary skills to manage staff. Specific requirements of a project – projects may have unique training requirements that are most appropriately satisfied at project level to ensure the successful delivery of schemes. Training needs as required as a result of corporate change – which will affect everyone within the organisation. Training related to professional development. All professional staff are required to comply with the rules of their professional bodies in respect of Continuing Professional Development (“CPD”). The company officer in charge of training will have overall responsibility for analysing training needs identified by the processes above and will discuss with the appropriate Contract Manager and employee the most appropriate and cost effective way of addressing these.